Search Results for "bible christian"
A young Christian woman reads the Bible on a bench in a park and flips a page. Panning move from left to right. Young Christian woman reading the Bible and drinking coffee at home. 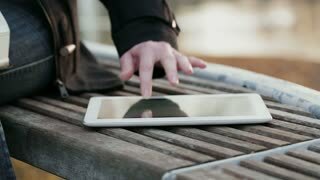 Christian woman studies the Bible with a tablet on a bench in a park by autumn. Young Christian redhead woman studying the Bible at home with a cup of coffee. Young Christian redhead woman studying the Bible in a living room with a cup of coffee. 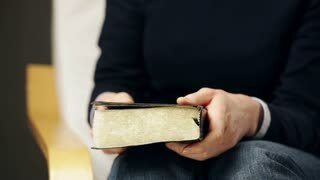 Young Christian woman opens and reads from the Bible while sitting on a chair. 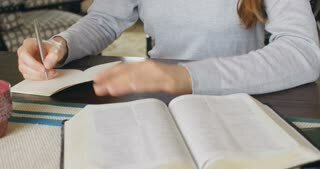 Static footage of a young Christian woman typing on a mobile phone while studying the Bible. A Christian woman takes notes on a tablet while reading the Bible in a park. Pan over Bible sitting on table. Christian Bible reading. Bible on table. Ready for Bible study. Christian video. Falling thick snow. Group of children with the teacher about the fire reading the Bible. Winter Christian camp. 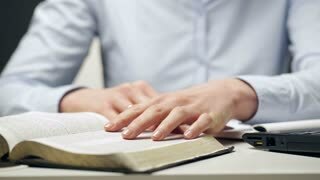 Man reading Bible with Christian cross - side view. A Christian bible is surrounded by sand and a mysterious wind is flowing through the pages. A happy young woman reads the Old Testament of the Christian Bible on a bench on a city street. Man reading Christian Bible on top of table next to Holy Water and Crucifix. Young Christian woman taking notes from the Bible. She reads and studies the Bible at home. Dolly shot. A young Christian woman studying the Bible with a tablet in a park by autumn. 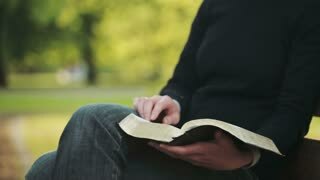 A young Christian woman reads the Bible in a park and then prays.